This week for Photo of Week, we would like feature an amazing shot of the Milky Way. 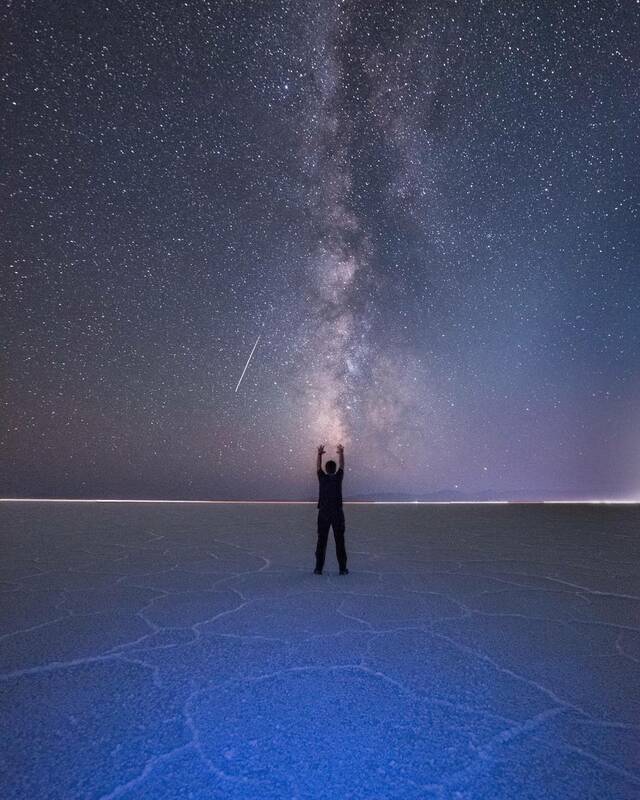 Taken over the Utah salt flats by talented photographer James Bailey, this stunning photo features the photographer with his hands raised towards the towering column of the Milky Way in the distance. To the left of our galaxy, a chance shooting star is visible crossing the sky.